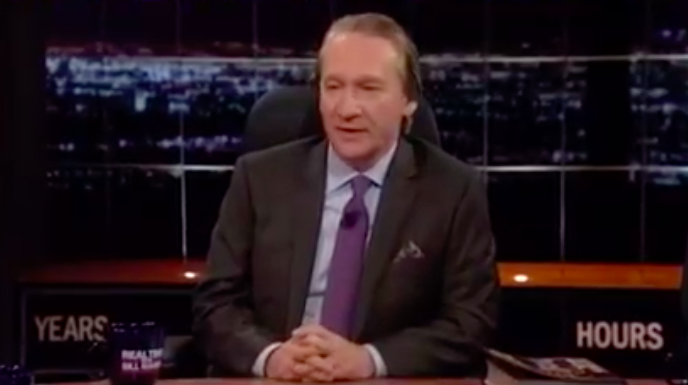 Bill Maher has recently taken a stab at supporting his favorable view of the Obama administration. He attempted this with an array of select data which might, on the surface, arouse optimism and garner applause, but upon further scrutiny would simply fail to hold. Watch the video here. I'll take this point by point. First, unemployment is a non-viable metric by which to measure the creation of wealth. Second, those figures which are today in vogue fail to capture the greater collage of employment strife facing today's laborers, including underemployment, discouraged workers, and part-time laborers. Third, the US dollar-denominated price of gas per gallon has declined by 28% while its gold-denominated price declined by a whopping 52%, indicating that the administration of Obama, Bernanke, and Yellen has corroborated a resistance to even further price declines, approximately a 24% margin. Fourth, the percentage of the insured fails to capture those costs incurred by persons who have shouldered the burden of the penalty and those who would prefer to withhold their savings and the product of their labor for other means, who possess no justification for this investment, and who possess no reason to anticipate, on their near-term time horizon, any probability of survival or perhaps any circumstances warranting this service and would prefer to reconcile its use at the point of transaction. Fifth, a reduction in oil importation signals not merely energy independence but rather a disintegrating manufacturing industry supplanted by the burgeoning service sector marketplace. Sixth, teen pregnancy is more intimately attributable to a culture of individuals who have become more widely familiar with the trials and challenges of this burden than anything even remotely proximate to the Obama administration. Seventh, the perceived hostility stemming from Iran might be quickly reconciled or understood by a cursory understanding of the 1953 CIA coup d'état. Eighth, real GDP has declined consistently year-over-year, all while the share of consumption and government expenditures has ballooned alongside the now-$18 trillion national debt, excluding off-budget and future liabilities, and a zero-interest rate policy, while Chinese GDP (PPP) has by now surpassed that of the United States. Ninth, the Dow Jones Industrial Average, which currently rests 11% below its gold-price of 2008, is not a benchmark for overall wealth, but rather that for those who possess the capital to speculate, thereby generating the exacerbated margin of that despised inequality of income. Furthermore, the Dow Jones Industrial Average, the S&P, and the NASDAQ have far ridden the stimulus of QE1, QE2, and QE3, along with ZIRP. Since October 29, 2014, when the Federal Reserve halted QE3, the DJIA has declined nearly 8%. The devil is in the details. Couldn't load the video but I'll try another source as I'd hate to miss a moment of pontification by my favorite windbag athiest Mr. Bill! 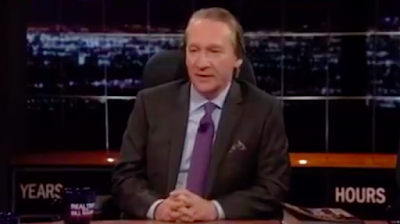 And you're right, the devil is in the details but I'm not sure Maher believes in him either.